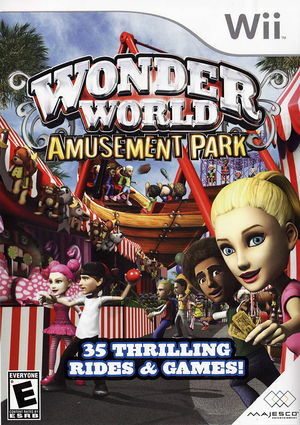 Wonder World Amusement Park includes 30 different mini-games that mirror real carnival games but are re-imagined in the park's five stylized fantasy areas. Players immerse themselves in this fantastical world of fun by creating and customizing their own unique character with outfits and accessories purchased with mini-game winnings. As an added bonus, gamers can also enjoy playable rides within the 3D park and challenge other family members in several 4-player gameplay modes. The graph below charts the compatibility with Wonder World Amusement Park since Dolphin's 2.0 release, listing revisions only where a compatibility change occurred.